Experience a unique and personal tour that takes whale watching to a whole new level. 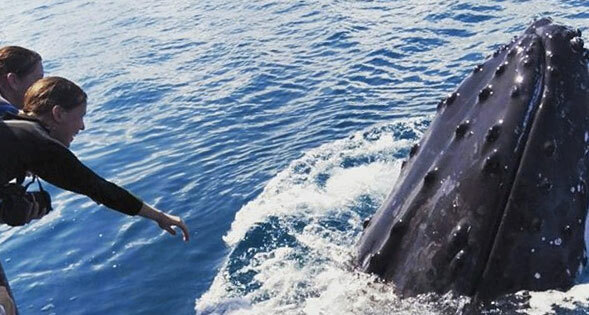 Hervey Bay is world renowned as one of the best whale watching destinations on the planet, and for good reason. The sheltered bay between Hervey Bay and Fraser Island provides the perfect rest stop for the humpback whales on their annual migration. Here is where the whales are most relaxed and playful, making for exceptional whale encounters. Now you can enter the whales realm and experience these majestic giants up close and personal. 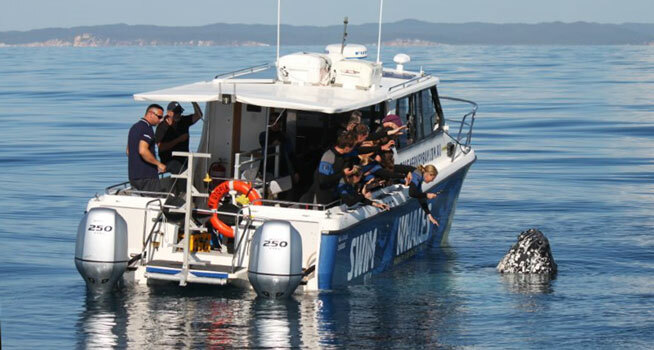 Hervey Bay Dive Centre operates the regions only dedicated whale swim and watch tour departing daily on their high-speed 40ft power-cat dive vessel. 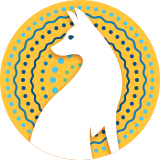 The whale season in Hervey Bay runs from mid-July to late October. During this period the crew will do their up-most maximise your opportunity to swim with the whales. From mid-September to the end of the season in October it can be more challenging to find suitable whales to swim with as more mother and calve pairs start arriving in the bay. Whilst permits restrict operators from swimming with calves. Even if you do not get in the water this tour remains the most up-close and personal small group whale watch experience from Hervey Bay. The comfort and safety of the whales and guests is paramount. The swim experience will only proceed if suitable whales and conditions are present. If the swim will proceed the crew will prepare the boat and guests for entering the water. You will have pre-selected your wetsuit and snorkelling gear. Entering the water is easy from the stern (back) of the boat. 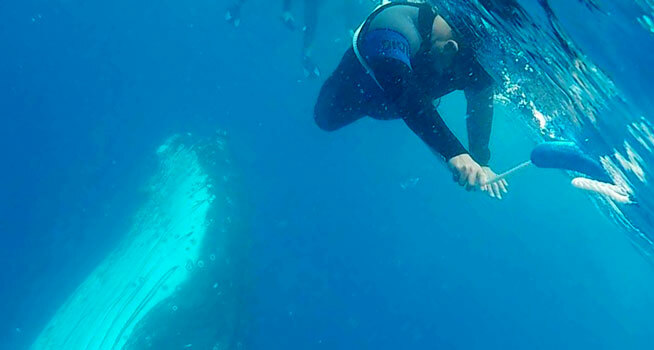 The whales in Hervey Bay are curious and inquisitive and you should experience some sensationally close encounters. * Please note: Swimming cannot be guaranteed. Swimming with the whales is whales and conditions dependant. Permits restrict operators from swimming with mothers and calves. Check-in: 30 minutes prior to departure.